We can install and repair CCTV systems for you if you live or have a business in Edinburgh and Dalkeith. We have a highly skilled team who can advise the best suited CCTV system depending on whether it’s for your home, workplace or business. CCTV surveillance systems can only be installed by a qualified electrical contractor who is skilled in current legislature and also knows the law that relate to its installation. 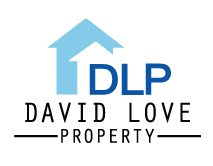 David Love Property has a professional team of electricians that has set high standards over the years; therefore you don’t have to worry as we are here to do the top job. 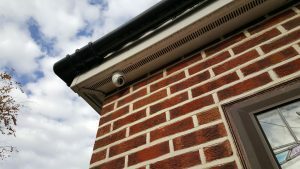 Whether you want to protect your home or business or workplace we are very knowledgeable in different types of CCTV and can recommend the system that will be most effective and fit within you budget. Part of the work that we have undertaken for our clients in Edinburgh and Dalkeith include servicing of the CCTV systems, maintenance and where applicable we have also done repairs. As part of the job in our electrical contractor obligation, we give assurance of quality not only in the service delivery but also in the aspect of installation and identification of the CCTV unit best suited your needs. Accidents & incidents can be prevented, criminals can be identified. In a nutshell, families, and businesses feel safer and secure when they have the CCTV systems well installed in strategic areas. So why not give us a call and see what we can do for you.